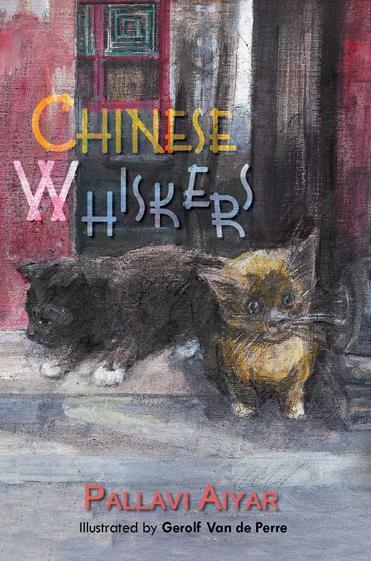 Besides, as Aldous Huxley said, “If you want to be a psychological novelist and write about human beings, the best thing you can do is to keep a pair of cats.” Which brings me to Pallavi Aiyar’s lovely novel Chinese Whiskers, told in the alternating voices of two young cats living in Beijing. And what was all that nonsense about “Chinese food is better”? I wasn’t a very smart cat and there were many things I didn’t know, but I did know there was something wrong with making a statement like that. Maybe some Ren liked Chinese food more and some preferred waiguo food, but how could you say that Chinese food was always better? Even though I wasn’t so interested in food at all, I still thought it was more interesting to have many different kinds of foods than just one type all the time. The subtext is clear enough; it isn’t just food that is being talked about here. Chinese Whiskers examines many aspects of Chinese society – insularity, the city-dwellers’ prejudices against migrant workers from the countryside, the friction between tradition and modernity, the hard-edged materialism of the younger generation – but it does this with a lightness of touch that is sustained from beginning to end. Many people will see it as a book for “young readers” (with the patronising tone that sometimes accompanies that phrase), and indeed it can be enjoyed by eight-to-ten-year-old readers in the undemanding way that they might enjoy Enid Blyton’s Bimbo and Topsy stories. 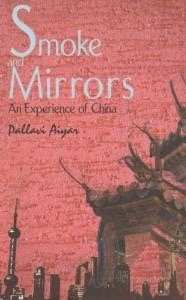 But I think it also makes for a good companion piece to Aiyar’s prize-winning Smoke and Mirrors: An Experience of China, which was a more overtly serious work of narrative journalism about the Middle Kingdom (and which also had an outsider-narrator – Aiyar herself – looking with fascination at a multilayered World). 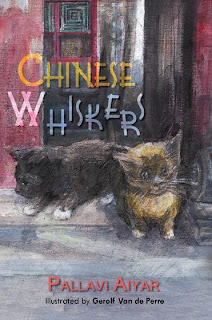 Needless to say, the perspective in Chinese Whiskers is a very different one, but it’s insightful in its own special way. What more succinct comment on the human condition than these words of wisdom delivered by a mama cat to her daughter as they discuss the fickle ways of people: “Ren are as the wind. Who can say why they blow this way or that?” It’s a line plucked out of a children’s book featuring anthropomorphized animals, but the context for the conversation is an old professor who got into trouble with the authorities because of the dissenting views he expressed in a book. Even so, despite the hints of danger, the melancholy asides and the sense of a society in flux, the overall tone is optimistic and comforting: the story's leering villains are more than offset by Good Samaritans such as the animal-rights activist Madam Wang and the construction worker Four Fingers Fu who cares for Tofu when she is lost. 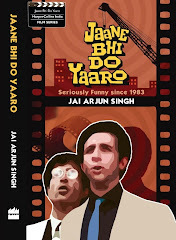 The use of Soyabean and Tofu as narrators provides a fresh perspective on such real-life events as the frenetic build-up to the 2008 Beijing Olympics (some of the details of which mirror the preparation for the Commonwealth Games in Delhi), but it’s also a useful plot-mover: the cats understand what humans say, eavesdrop on crucial conversations and eventually help expose a cynical money-making scheme. The one very minor reservation I had about the voices is that both Tofu and Soyabean are fairly docile, domesticated sorts, rarely displaying the tartness that characterises the best of their kind. I wouldn’t have expected the caustic tone of Saki’s “Tobermory” from a story like this, but an ill-tempered hiss every chapter or two would have been nice! That little detail aside, Chinese Whiskers was one of my favourite reads of the last few months. P.S. The book includes some beautiful black-and-white drawings by Gerolf Van de Perre, some of whose other work you can see here. I thought I was a little silly for being a cat person from childhood. Now you have pointed out why cats are the perfect companions for a writer, and it makes so much sense. The last line of my "Acknowledgements" in my book is to my cats. I also remember now seeing a back cover on one of Naipaul's books, where he is holding a cat. It all makes sense now. Paritosh: see these literary cat quotations - cats often have the effect of turning even the most determined prose writers into poets. (See the Lovecraft one, for example.) Have seen many other such quotes by other famous writers elsewhere. Of course, another perspective is expressed by Dan Greenburg, who says "Cats are dangerous companions for writers because cat watching is a near-perfect method of writing avoidance."